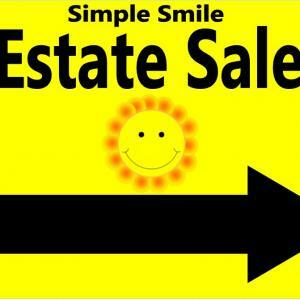 Simple Smiles Estate Sales was created with the customer in mind. The founder of our company knows with every Estate Sale begins with a single person having an issue, and with that issue we are able to come in with exceptional customer service and help with the issue. Its through this that we are able to help our customers on a deeper level then just your average Estate Sale Company. Let our entire staff including our owner who will be caring for your home or business and making sure you are getting the most for each item sold, our appraisal partnerships make sure things are priced in a fair and comfortable manner for both our homeowners and our customers. Simple Smiles’ HIGH-END, UPSCALE, WELL TRAVELED AROUND WORLD, GORGEOUS l FURNISHINGS & DECOR, HIGH-END HOME,DYER IN! Simple Smiles Estate Sales Presents: 50% OFF MOST FURNITURE !!!! Vintage Retro Eclectic Home in Oak Park!